To meet skyrocketing demand for electricity, African countries may have to triple their energy output by 2030. While hydropower and fossil fuel power plants are favored approaches in some quarters, a new assessment by the Department of Energy’s Lawrence Berkeley National Laboratory (Berkeley Lab) has found that wind and solar can be economically and environmentally competitive options and can contribute significantly to the rising demand. The research appeared online this week in the journal Proceedings of the National Academy of Sciences (PNAS) in an article titled, “Strategic siting and regional grid interconnections key to low-carbon futures in African countries.” The lead authors are Deshmukh and Grace C. Wu, both Berkeley Lab researchers in the Energy Technologies Area. Much of the initial research was funded by the International Renewable Energy Agency (IRENA), which is based in Abu Dhabi. Individual fellowships from the National Science Foundation and the Link Foundation to Wu and Deshmukh supported the expanded analysis on wind siting. The Berkeley Lab study is the first of its kind for Africa, using multiple criteria-such as quality of the resource, distance from transmission lines and roads, co-location potential, availability of water resources, potential human impact, and many other factors-to characterize wind and solar resources. Looking at the Southern African Power Pool (SAPP) and the Eastern Africa Power Pool (EAPP), which together include 21 countries accounting for half the continent’s population, it found that many countries have wind and solar potential several times greater than their expected demand in 2030. The tool they used to make these evaluations, the Multicriteria Analysis for Planning Renewable Energy (MapRE) was developed at Berkeley Lab in collaboration with IRENA and is open-source and publicly available to researchers and policymakers. 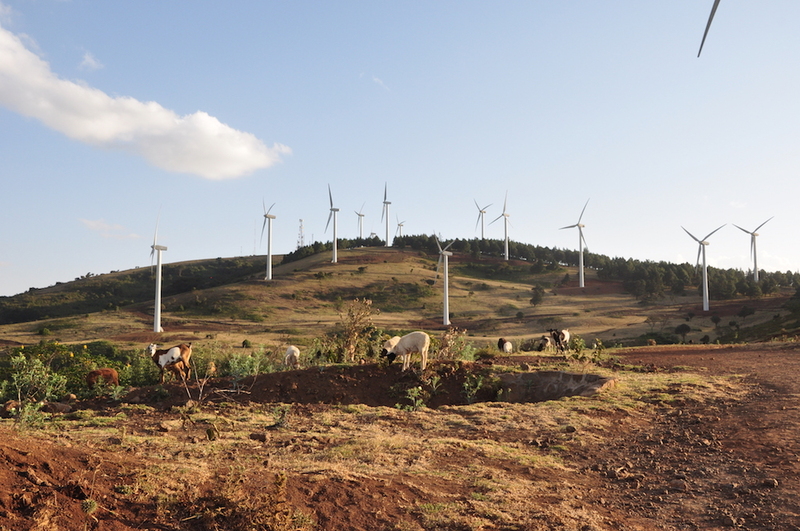 Not only did the researchers find plentiful wind and solar resources in Africa, another key finding was that system costs and impacts could be lower with robust energy trade and grid connections between countries. And if wind farms are strategically sited so as to manage peak demand, costs can be lower still. For example, the researchers found that in a high-wind scenario in the Southern Africa Power Pool, strategic siting and grid interconnections would reduce the need for conventional generation capacity by 9.5 percent, resulting in cost savings of 6 to 20 percent, depending on the technology that was avoided. The amount of wind and solar currently deployed in Africa is tiny, he said. But with global prices having declined dramatically in the last decade or so, renewable energy has become a competitive alternative. And while hydropower is a significant and familiar resource in Africa, climbing costs and persistent droughts are making it less attractive. Other co-authors of the study were Amol Phadke of Berkeley Lab, Jessica Reilly-Moman, Daniel Kammen, and Duncan Callaway of UC Berkeley, Tijana Radojicic of IRENA, and Kudakwashe Ndhlukula of the Southern Africa Development Community Centre for Renewable Energy and Energy Efficiency. Deshmukh is an ITRI-Rosenfeld postdoctoral fellow at Berkeley Lab. Wu is also a PhD candidate in the Energy and Resources Group at UC Berkeley.